Our handcrafted canvas wreath consists of a grapevine wreath surrounded by beautiful deco-mesh, ribbons, silk flowers, and other accents. 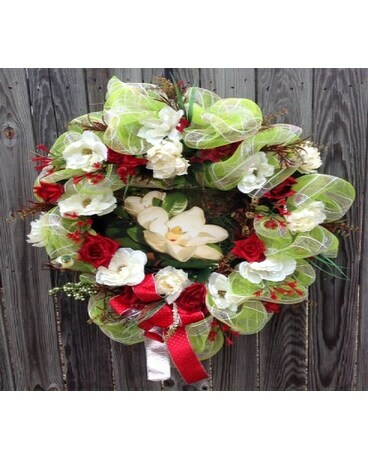 The inside of the wreath holds a beautiful 11x14 canvas print. These are great items to send as housewarming or expressions of sympathy and rememberance. Product may slightly vary from picture due to availability of materials and size option chosen.